The time has come for us to talk about thermostat upgrades. 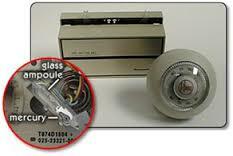 If you still have an older style T-stat that still has mercury bulbs in it… you can do better! Better temperature control, better energy efficiency and less wear & tear on your HVAC equipment. 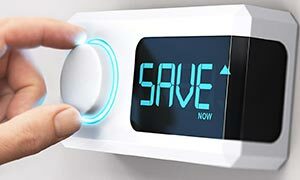 Plus, you will have a better, more precise, reading of the indoor temperatures & how often the unit cycles On & Off… Why are you still using the last century’s technology in a system to help you to be comfortable, healthy and energy efficient in your home or office? human health if you have contact or don’t dispose of it properly. I have personally, declared war on these old thermostats, They are outdated, inefficient, lack accuracy, and are hard to see & set for the elderly or less tech-savvy homeowner, especially if you are trying to see exactly what the temperature “is”, and “is set at” in your home. Why not have a large digital display, in numbers, that tells you just exactly what the temperature is & not a “range, or best guess” by an outdated piece of history controlling your system. The best thing for you is to think about all the features & functions you would personally want or use; for example, outdoor temperature, or indoor & outdoor humidity, weather forecast or even wireless Wi-Fi controls from your smart phone!! 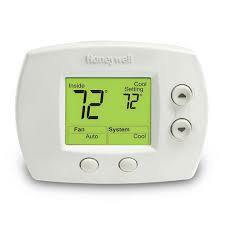 Then have us match and install a new thermostat to your existing system. Humidity, It’s Coming Back & It Will Affect Your Home!